Oh, what a cool little find. 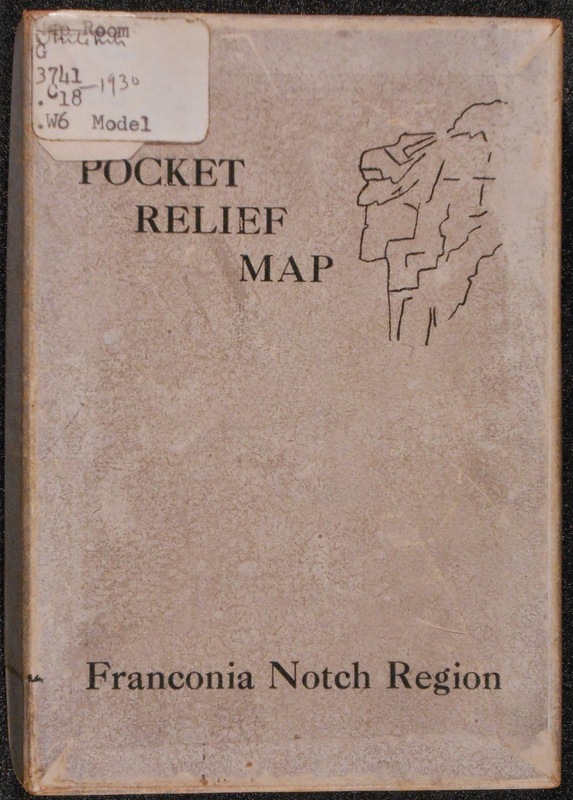 While looking for a good map of the White Mountains for our current exhibit, "Corresponding Friendships: Robert Frost's Letters," we stumbled on The Pocket Relief Map--Franconia Notch Region (R. D. Woodard, 1930). It is made of pressed plastic, and is just three and a half inches by five inches. 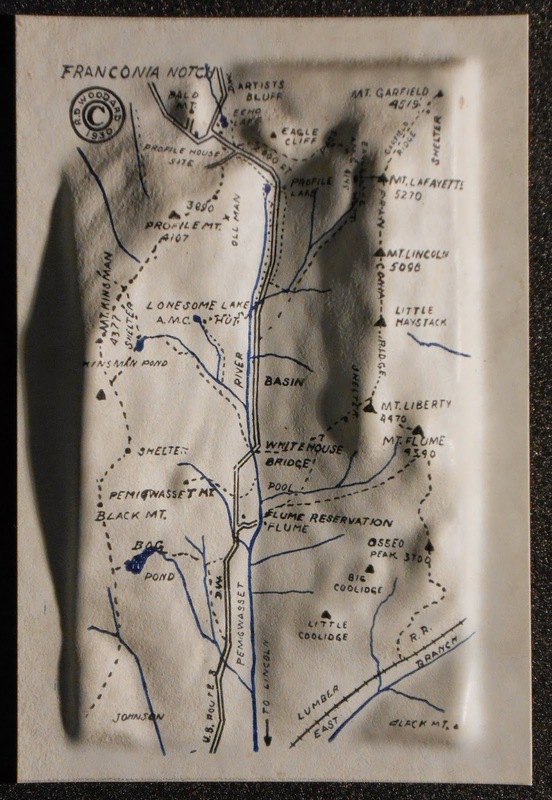 The box has a line drawing of the Old Man of the Mountain. What's it for? It is hard to imagine carrying it in your pocket for reference. You couldn't really pull it out on a hike and say, "Ah, now I know where I am!" Our guess is that it was just a souvenir for tourists vacationing in the area and it was never carried in anyone's pocket. To see it, ask for White Mountains G3741.C18 1930 W6. The Frost exhibit is on display from now until November 1st in the Class of 1965 Galleries in Rauner. We found an even better map for that!